Plantation forests grow larger and faster following residuals fertilization. We research beneficial residuals management. Poplars growing in residuals-based soil are irrigated with leachate. We recommend beneficial residuals management. Pulp residuals, ash and woodwaste are used in landfill closure. We implement beneficial residuals management. Biosolids are applied for mine reclamation. Residuals are our sole focus. Biosolids fertilization increases productivity of agricultural land. Residuals are our sole focus. We have unsurpassed knowledge and experience in the management of residuals including biosolids, ash, pulp and paper residuals, wood waste, water treatment residuals and leachate. We excel in all facets of beneficial residuals management including: regulations, guidelines and policy development; applied research; stakeholder consultation and education; short and long-term residuals management plans; authorizations and qualified professional management; through to operational turn-key residuals management. 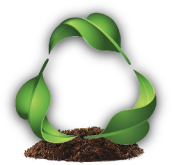 Residuals management opportunities include composting, land reclamation, forest and agriculture fertilization, soil and soil product fabrication, landfill closure, leachate treatment systems, biomass plantations, and climate change mitigation programs. SYLVIS combines the best of a traditional environmental engineering firm with the best of an operational/contractor services company. We provide all or any part of the critical steps in a successful residuals management program. OPPORTUNITIES IDENTIFIED. CHALLENGES ADDRESSED. SOLUTIONS REALIZED.